"We’re not in this business to sell headphones. We’re in this business to deliver music"
The packaging is very good looking. Once you slide the box open, a black box with 1More logo and magnetic latch. 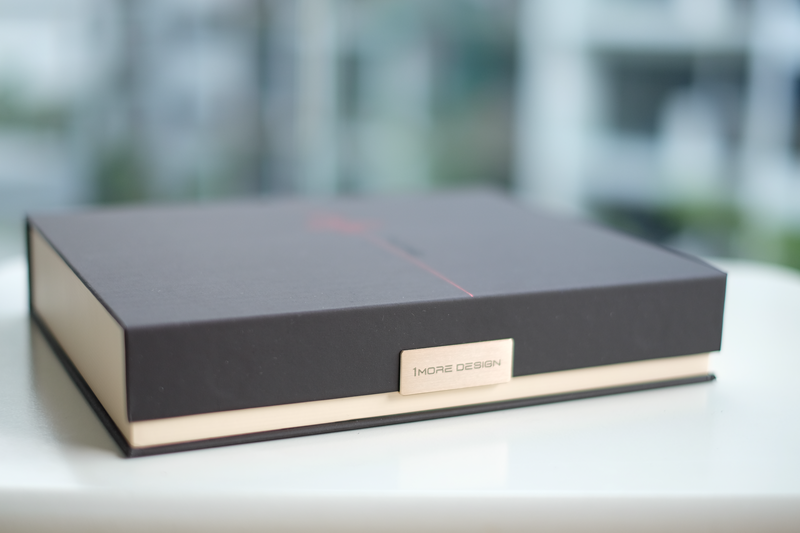 The unboxing experience feel luxurious and it will be a perfect gift for someone special. While unboxing, I could see how serious 1More designing their product including the packaging. The hand drawn design of the 1More Quad driver is nice and the all the presentation layout is great. 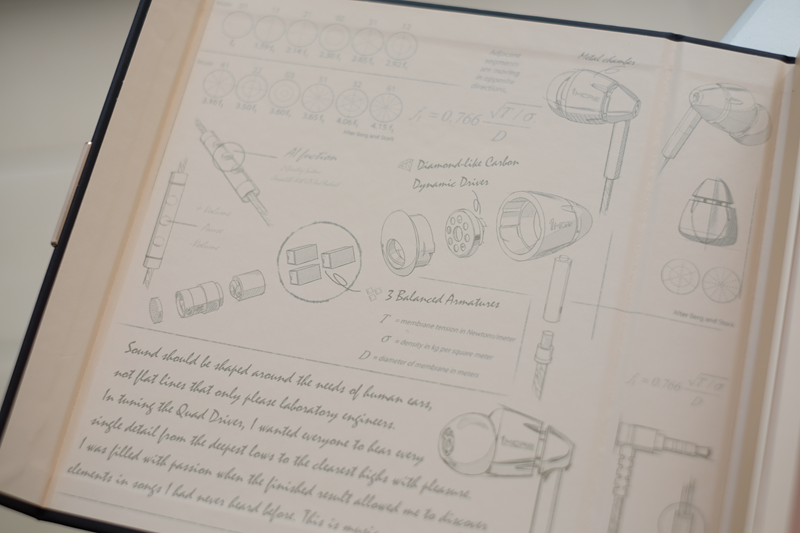 these are hand written by Grammy winning Sound Engineer Luca Bignardi who personally tuned the final product. What's inside the box? 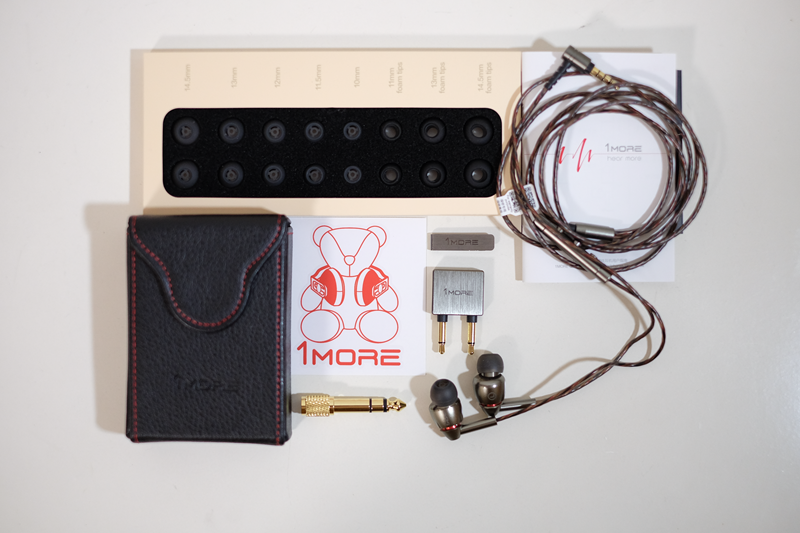 an earphone (of course), manual, 1More bear sticker. 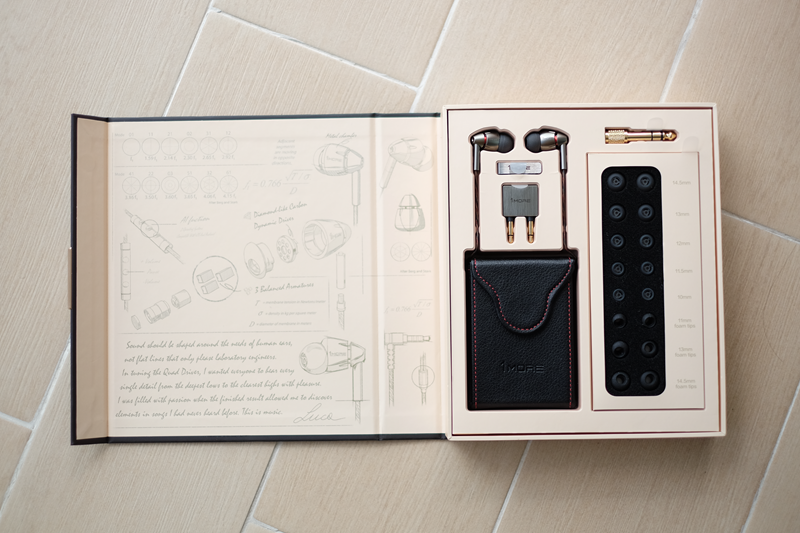 You'll also get silicon (6 pairs) & foam (3 pairs) ear tips and metal shirt clip, airplane adapter (I'm wondering why earphone manufacturer still giving out this),1/4 inch converter and a hard leather case with magnetic flap. the quality of the accessories is great, except for the foam tips (i'll discuss it later on). 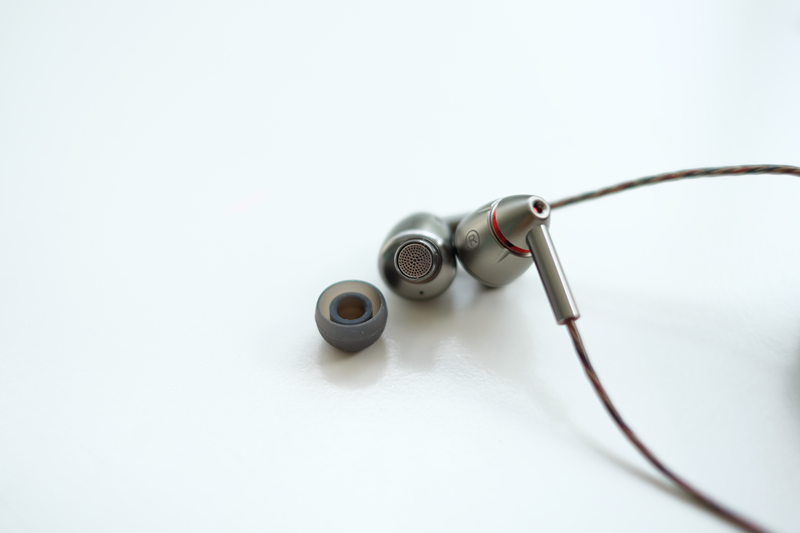 The piston style earphone looks like a Jet engine, futuristic design. 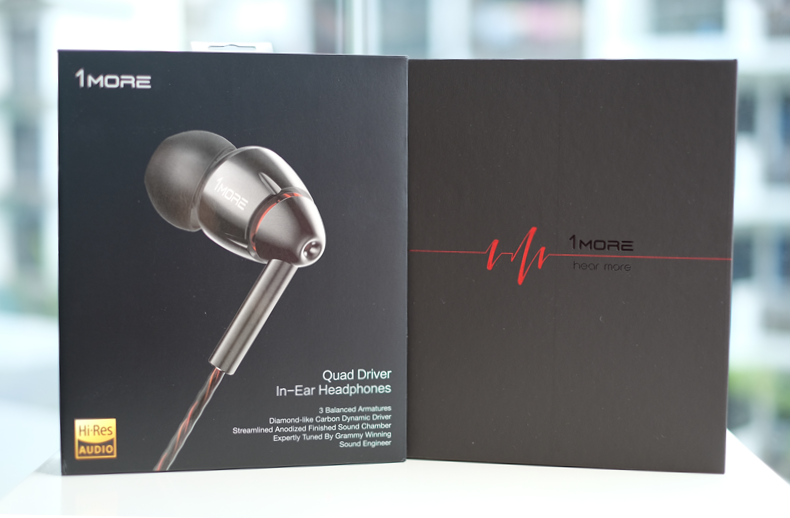 According to 1More: Streamlined aluminum sound chambers with tungsten textured accents flow like a jet engine yet are designed for premium comfort and sonic spaciousness while eliminating ear fatigue. The body is an aluminum alloy with a red lining where the vents are located. the grey color is a nice choice complement nicely with the futuristic design. in my opinion the body is a little bit big but it houses 4 drivers so it's expected. The 45° oblique angled ear fittings naturally match your ear canals ensuring a secure fit, proper noise isolation, and an intimate sound stage. it's labeled with R and L on the side of the body. you'll also notice a small hole near the nozzle which will be covered by your ear. the earphone nozzle is pretty big, I didn't manage to fit in any other tips that i've for testing. apart from wide, it's also short, it's difficult to get a good insert into my ear canal. so be aware of the size if you are buying new tips. event though 1More provided pretty good precise size for the tips but i still have difficulties to get a proper fit with both the silicon and foam. Because of this I don't have a proper isolation as well. Maybe this caused by the nozzle that is larger than usual (at least compared to the earphone / IEM that I've right now). I've also difficulties when trying the foam tip, it's hard to put in and out. The quality of the foam tips is a little bit disappointing or maybe i was expecting that I'll get Comply quality. it's a little bit rough on my ear when using it and it's dirt magnet. I feel that the foam is too thin and fragile, one of the foam tip is almost tear now. treat it will extra gentle when you put it in and out. 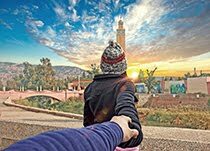 The control does work for both iOS and Android, A built-in chip automatically identifies your smartphone, tablet, or computer’s operating system allowing you to make calls, control volume, and adjust tracks. A superior MEMS microphone supposed to deliver exceptional talk quality. 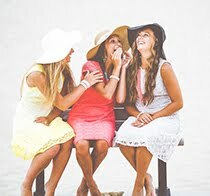 during the testing the sound receive by another party was clear and minimum background noise was captured. the only drawback: the cable is not replaceable if it's broken. 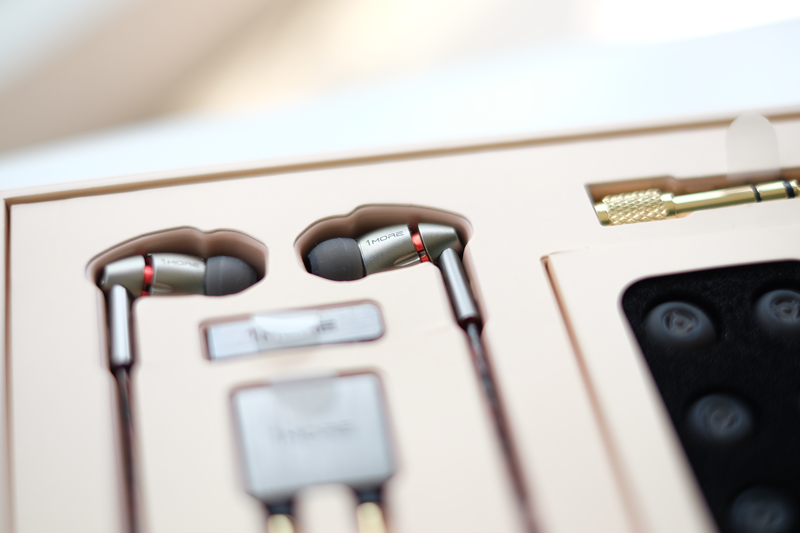 nowadays, earphone sub $200 comes with a removable cable either mmcx / 2mm connection. even though his normally applicable for over the ear design, so I'm not really sure why 1More doesn't come with this knowing that the main stream is moving into this direction. 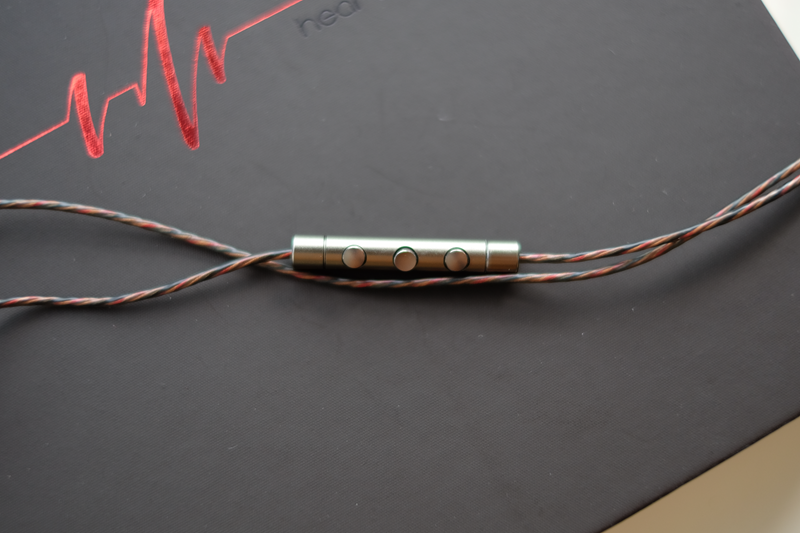 at the end of the cable it's a L shape 3.5mm gold platted connector. the strain relief on the cable is sufficient and well protected. Apart from the shortcoming of the nozzle size and the isolation the 1More quad is still pretty comfortable to me either with the silicon / foam tips. Overall build quality is pretty outstanding. 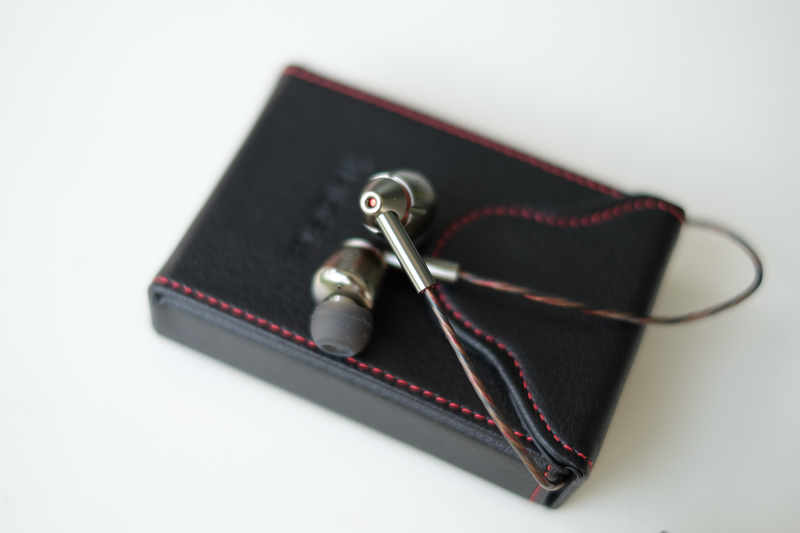 please be informed as well that my review may be a little bit bias since i'm used to wear over the ear IEM. 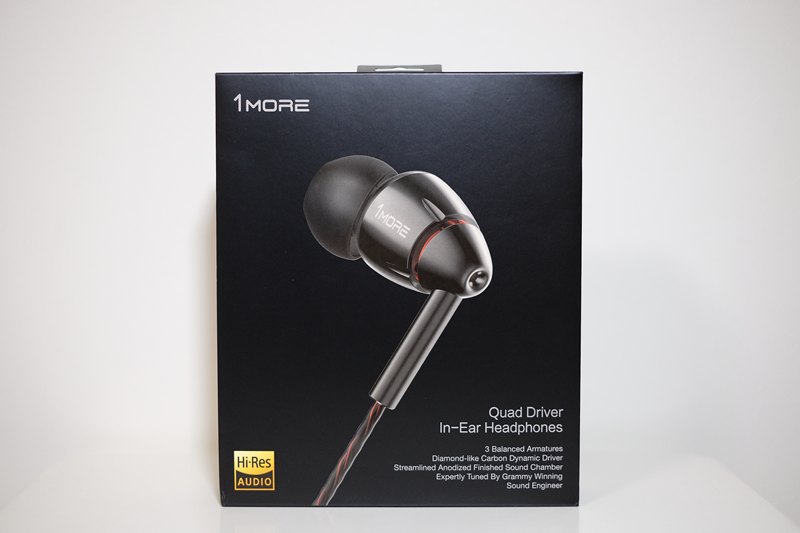 Four Drivers dedicated to highs, mids and bass. 1More designed a lightweight crystalline structure to transfers sound waves more accurately without distortion. Diamond-Like Carbon Driver handles midrange and bass while two balanced armatures handle high frequencies and third third handles ultra-high frequencies for immaculate definition. Surprisingly the sound is good even though I don't have a proper seal. 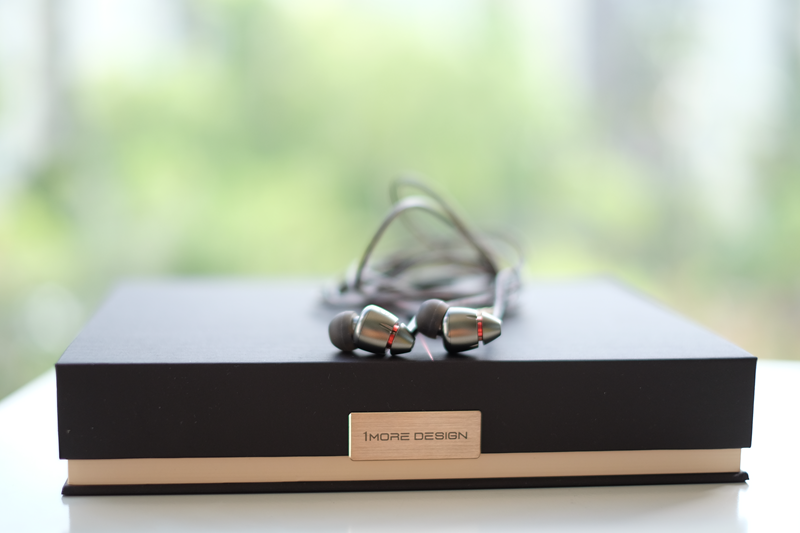 I enjoyed listening with 1More Quad, there's a feeling of openness and space. the soundstage executed pretty well and it's above average. I can hear and visualize the instrument placement and vocal pretty well. Hearing Ruby Tuesday (Stereo) by Rolling Stone was great, I could hear the dimension of the string and tambourine on the left, piano on the right and voice in the middle. Yes, even my ipod able could produce stereo in this song but in Apple earphone you only hear the music separate coming from left and right and sounded very dull, while 1More Quad able to deliver the dimension of the placement of the instrument and made the song become immersive. Even though there are 3 drivers dedicated for the highs (2 for high frequency and 1 for ultra high frequency) I don't really hear the difference nor I find that the highs are exceptional, it could be that I'm getting old. Don't get me wrong, the highs are still pretty nice they're clear and precise. you can easily hear this in song like Nobody But Me - Michael Buble. I can hear the chime when Cole singing "never, never ring a bell" Train Song - Cole but it's not prominent enough in my opinion, the highs sound laid back. I expected that with extra drivers, it could perform extraordinary but it doesn't. Bass is presence and performed really well, it's not too much and not less. you can feel the bass and the vibration without any hint of overwhelming. Love Lockdown - Kanye West, the bass perform well there's enough bass and you can hear the tone of the bass at the background. 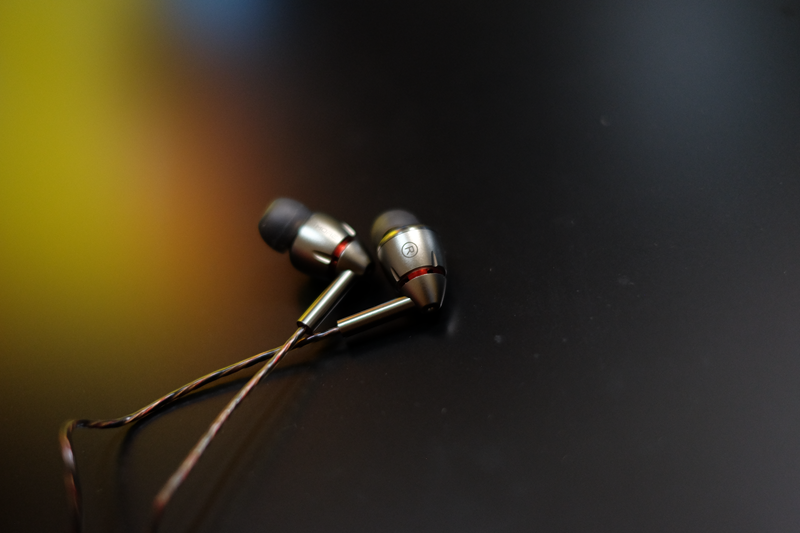 While I cant comment whether $100 difference between 1More Triple will justify the sound quality, I would love to compare if someone can send me the triple :) but I'm pretty sure that it sounds better than Westone UM PRO 10 (UM Pro 10 review) which cost $149.99. 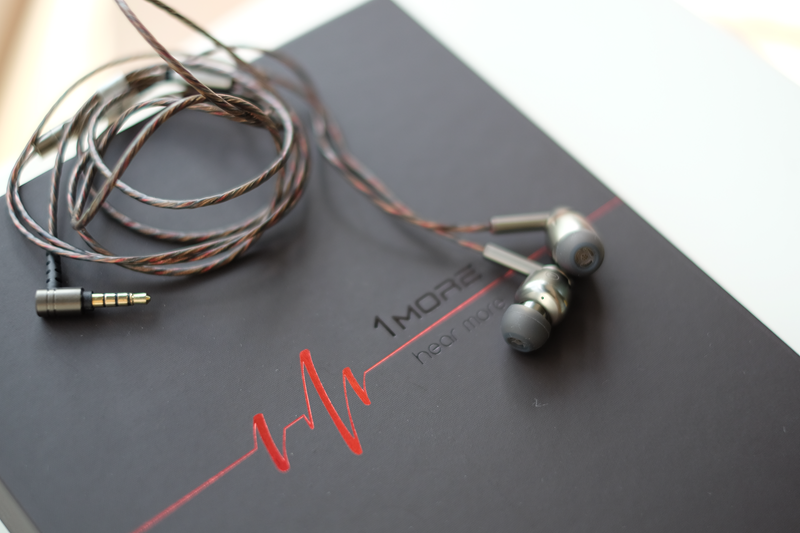 Overall with a great build quality and sound quality, this is one of my favorite earphone. Clarity, soundstage, highs and lows performed really well. even though it's a little bit v shaped but the songs played through 1More Quad sounded balance to me with occasionally sounded a little bit muddy for certain songs. It's really performing well for wide variety of genre. some drawback: $200 price range normally you'll get an over the ear design with replaceable cable and greater fit, the nozzle is bigger than normal, the foam tips are fragile and break easily. If you don't mind the drawback, absolutely you can't go wrong with 1More Quad. 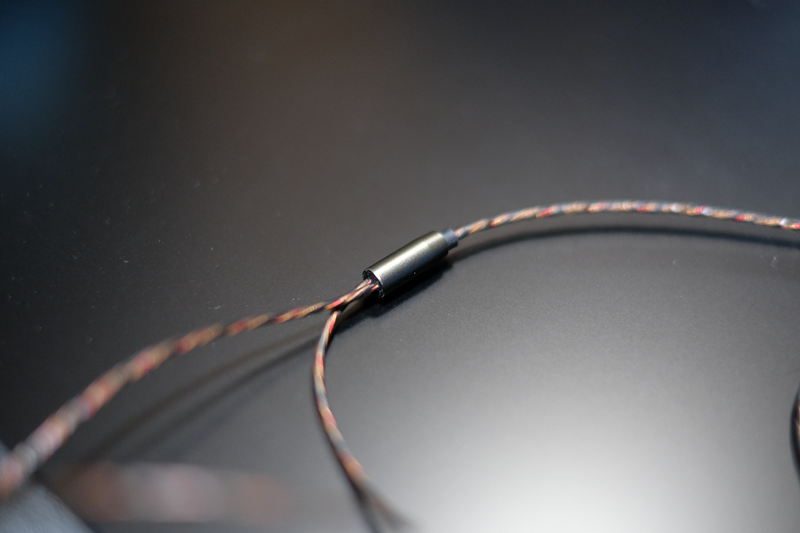 Cool design, good looking cable as well.